LINC, Oregon State University's Learning Innovation Center, is home to the University Honors College (UHC) and the Integrated Learning Resource Center (ILRC) which co-locates the Center for Teaching and Learning and Academic Technology, including Classroom Technology Services, Media Services, and Technology Across the Curriculum (TAC), creating a dynamic teaching and learning support center for OSU faculty and students. The four-storey, 134,000 sq. ft. building features 15 new classrooms with 2,300 seats of formal teaching space and 640 seats of student-directed informal learning space. LINC introduces new styles of learning spaces that support collaboration and student participation, including Parliament and "In-the-Round" classroom designs. The project achieved LEED Gold certification through an innovative strategy with the fundamental layout of the building. Monday-Friday 7:00 a.m. - 10:00 p.m. The architects were challenged to produce big lecture halls that could create learning outcomes like smaller and more intimate classrooms. To pull this off, they had to work closely with the instructors to imagine an experience that hadn't been seen before. This inquisitive process enabled the architects to design for the ways in which learning takes place. The key is to create the most engaging interaction possible between the instructors and the students. 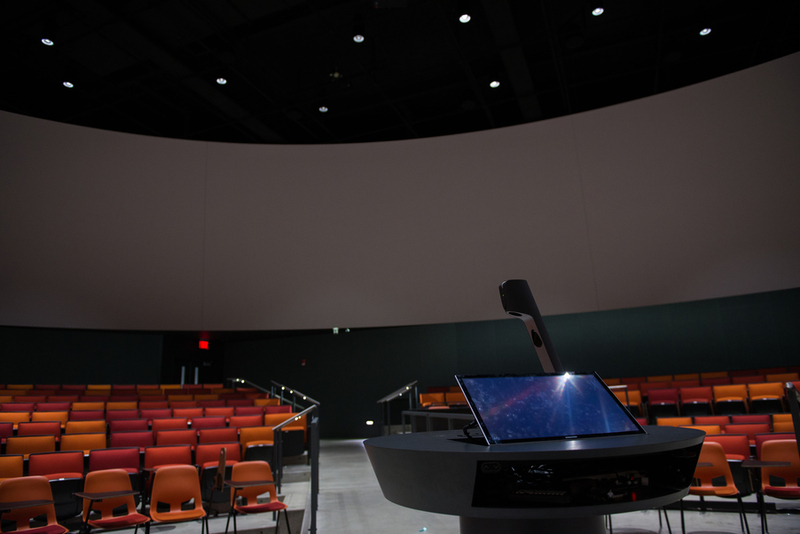 Proximity is crucial, yet in most large lecture halls students sit far away from the instructor. The architects also learned that providing informal study and break-out spaces is critical. By flipping the traditional academic building design and wrapping generous hallways with informal study areas around the perimeter, the congestion of student flow between classes was eased while creating comfortable pockets and nodes that encourage learning to continue outside the classroom. 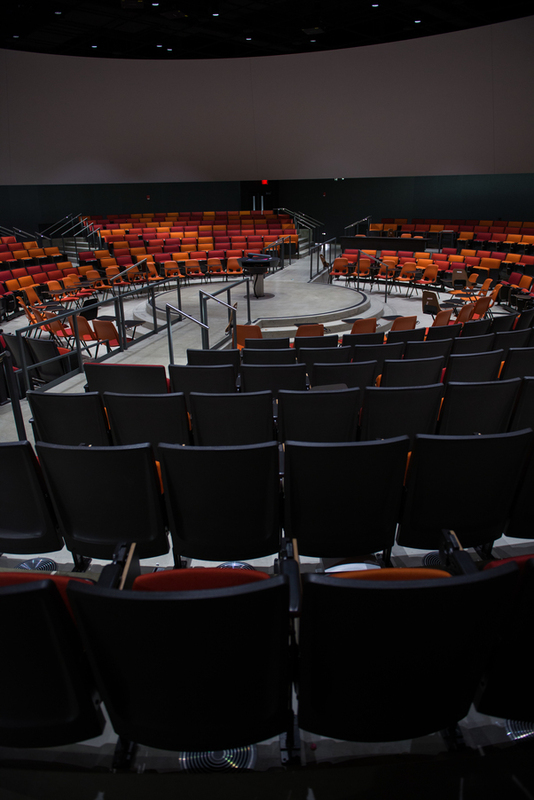 Both the 600-seat and 300-seat arena classrooms utilize "teaching in the round" to bring students as close to the instructors as possible. 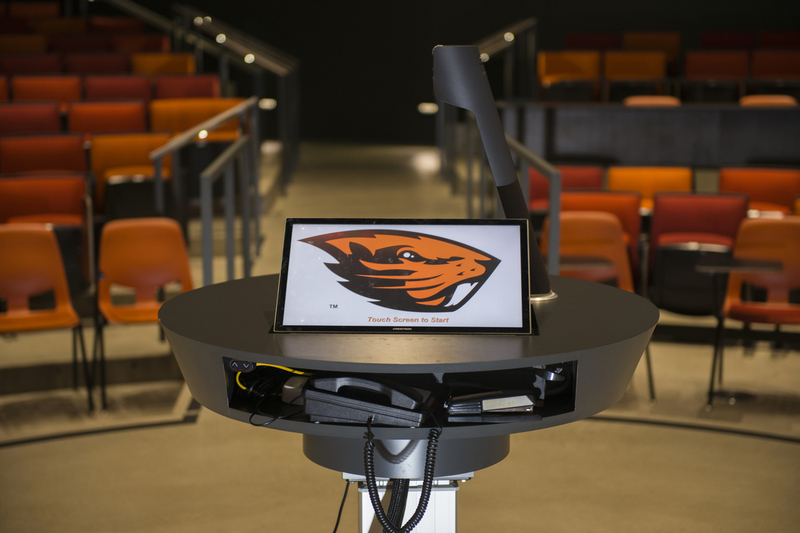 Configured to adapt to emerging technology, and ringed with continuous screens, every seat in the classroom is a good seat. The 185-seat Parliament classroom is configured for debate and conversation, an idea we took from the British Parliament. The Learning Studios are designed for students working in groups to accommodate different pedagogies. Considerable thought and work went into designing the learning spaces in LinC to enhance student learning broadly, accommodate various learning styles, and promote collaborative learning. In addition to providing much needed classroom capacity for our expanding student body, LinC provides a technology-rich and supportive learning environment for faculty and students. This is state of the art in every sense, while people are the centerpiece of the learning experience, the new spaces will allow faculty and students to use technology to further enhance their learning experience.